When you read the title of this entry, I wonder if you thought about the classic country song, “Looking for Love in All the Wrong Places?” That 1980 hit written by Wanda Mallette, Bob Morrison, and Patti Ryan and sung by Johnny Lee was made famous when the movie Urban Cowboy exploded on the cinema screen. The song pointed to unhappy people who were looking for something they truly wanted–love–in all the places where they would be least likely to find it. Unlike the man in the song, I’ve been fortunate to find Lions working together for the benefit of others and finding the joy and satisfaction in all the right places. This past weekend, my home club (Fargo Lions) and the campus club I advise (NDSU Fargo Lions) worked together to stage a very successful fundraiser and service project at the Downtown Radisson Hotel in Fargo. Both organizations enabled emerging and established Lion leaders to work together to plan for and carry through with a major project. The dinner and entertainment brought 200 participants to the event raising nearly $12,000 for the project fund to support Lions charities at the international, state, and local levels. Fargo Lion President Pat Brown presented a short program informing the guests about the history of Lionism and the call by Helen Keller to become knights of the blind. 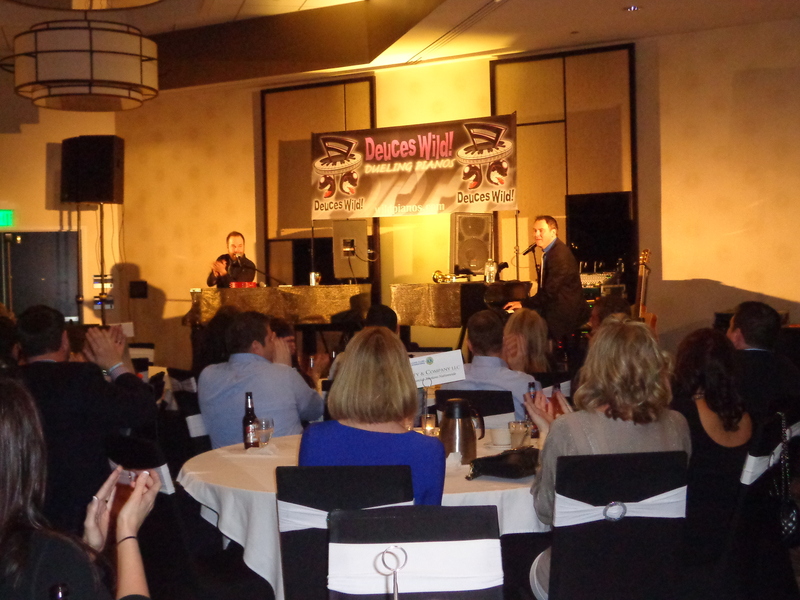 A silent and live auction provided fun activity for the participants, adding to the evening’s profits. The NDSU Fargo Lions helped with registration, staffed a coat check, assisted with silent auction tasks, and raised funds for their own project fund by selling tickets for a meat raffle. Their goal is to raise enough funds to name their first Melvin Jones Fellow this spring. After this event, they are well on their way! The work of Lionism goes on and being part of the efforts of two clubs has provided me with the benefit of seeing established and emerging Lions doing the work we are called to do on behalf of those who need our help. I am so proud to be a Lion and look forward to telling the world about all of the great things Lions are doing in Fargo, the Dakotas, and Multiple District 5! What a great voice to the work of Lions. You share your energy for service. Thank you Lion Robert for the inspiration you provide all of us.